Brazos Bookstore is honored to welcome Edward Hirsch. This event is sponsored by the Houston Seminar where Mr. Hirsch will be presenting. Please note, this is strictly a signing. There will be no presentation. Books to-be-signed must be purchased from Brazos Bookstore. Please call 713-523-0701 with any questions. Greenlight is proud to participate in the second season of Books Beneath the Bridge, an outdoor literature series in Brooklyn Bridge Park, featuring six evenings curated by local independent bookstores. On Greenlight’s featured Monday in July, we will host an evening of poetry in the park with two award-winning poets! Sharon Olds won the 2013 Pulitzer Prize for her most recent collection Stag’s Leap, and her previous works have won many accolades including the National Book Critics Circle Award. 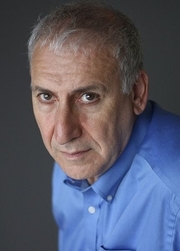 Edward Hirsch is also a National Book Critics Circle Award winner, as well as a Macarthur fellowship and a Guggenheim fellowship; he is the author of seven books of poetry, most recently The living fire, as well as the bestseller How to Read a Poem and Fall in Love with Poetry. Both authors are known for their dynamic and compelling readings, and will offer an electrifying evening of poetry with the Brooklyn Bridge and Manhattan behind them. Admission is free. More information and directions at brooklynbridgepark.org. Edward Hirsch reads from Special Orders: Poems. Award-winning poet Edward Hirsch, former teacher and past "Poet's Choice" coumnist for Book World, reads from his new collection of verse. Edward Hirsch's book The Art of Losing was available from LibraryThing Early Reviewers. Edward Hirsch is currently considered a "single author." If one or more works are by a distinct, homonymous authors, go ahead and split the author. Edward Hirsch is composed of 3 names. You can examine and separate out names.